The Medical Cannabis Research Fund (MCRF) is comprised of faculty and researchers from a variety of disciplines at the University of New Mexico who are focused on conducting scientifically valid and unbiased research on medical Cannabis across all areas of social and biomedical sciences. Donations made to the MCRF support the direct costs of studies designed to measure the safety and efficacy of using medical Cannabis as a pharmacological agent. Findings from these multi-disciplinary investigations are intended to generate basic and clinical knowledge, educate patients and physicians, and help inform regulation on the use of medical Cannabis. To learn more about the history, challenges, and goals of the MCRF, click here. You can see the important medical Cannabis research projects that the MCRF is currently supporting here. If you want to participant in a medical Cannabis research study in New Mexico, click here. Information for current and future social and biomedical Cannabis researchers can be found here. 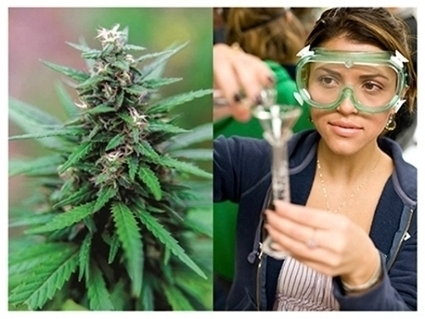 To learn more about some recent scientific and legislative accomplishments of medical Cannabis researchers at the University of New Mexico, click here. Donate to the Medical Cannabis Research Fund NOW!